Alright, so you probably already know this about me, but I bet you didn’t know I love Star Trek enough to have attended two conventions. Oh yes, this nerd not only knows the difference between a Vulcan and a Romulin, she sometimes surrounds herself with people wearing Federation uniforms enviously wishing she had (a blue one obvs) one of her own. 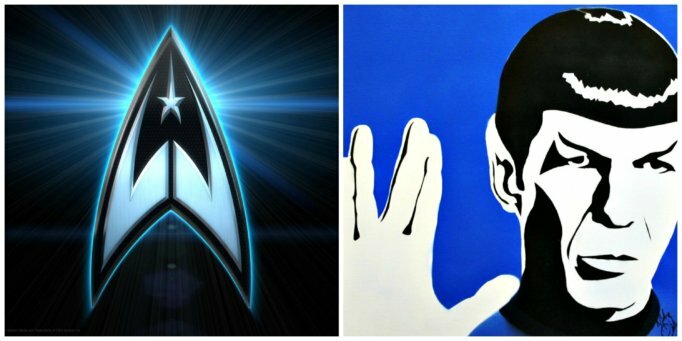 * Trekkies are what non-Star Trek fans call Trekkers – don’t get caught out! Pathetic really but I just never got around to it. I moved to Brighton when I was 23 and you don’t need to drive a car here; plus you can’t afford to park even if you did. I spent around 90 hours over five weeks and passed first time, but I have to admit that I found it really, really hard. Three words: Effing. Clutch. Control. People often think I’m an extrovert because I find it easy to talk to strangers, but it’s a myth that introverts are shy. An extrovert is someone who is energised by being around other people, whilst introverts feel recharged when they spend time alone. I love my own company and feel drained if I spend time with large groups of people or don’t get enough time to myself. I can get quite narky if I don’t have space and I much prefer spending time one-to-one or in small groups. I’m not just a little bit scared of spiders, I’m completely petrified of them. I know it’s totally irrational, but it doesn’t make a blind bit of difference. I’ve had numerous truly horrific experiences and even the thought of them makes me feel anxious. I certainly can’t get near enough to kill or trap one by hand so (top tip but this may horrify you) I kill them with Cillit Bang… one spray and BANG! the spider’s gone. I love food, I just have zero interest in preparing it. Cooking is mind-numbingly dull and something I actively dislike doing. Other people seem to find it relaxing, but it bores me to tears and I feel frustrated that dinner takes such a massive effort to prepare but only 10 minutes to eat. Cooking is such a huge waste of time and I would stop doing it if I knew I wouldn’t starve to death or get scurvy. I’ve never been able to properly pronounce words with a ‘th’ sound in them and I say fings, fanks, vis and vat instead. A friend of mine always laughs when I ask “do they?” because it sounds like I’m saying duvet. Nobody corrected me as a child and although I sometimes feel a little self-conscious, it’s just the way things (fings) are. I am well aware that I probably sound like an imbecile though. I’ve never been fussed about New Year – or ‘forced fun night’ as I call it. If I recall you have to dress up, spend loads of money, queue for ages for a price-hiked drink in a sweaty, rammed pub, feel a bit awkward at midnight, risk hypothermia trying to get home on foot or pay £250 for a taxi (if you can find one), pick your way through pools of vomit, then wake up the next day feeling rough as a badgers behind. I haven’t missed anything have I? * Saying that, I spent New Year 2016 abroad in Oman. I slept out under the stars on the deck of a traditional Omani Dhow, swam and snorkelled in the Indian Ocean on New Year’s Day and had the best time ever. So maybe I just hate New Year at home. I live in Brighton which I personally think is the best place to live in the UK. I moved from Buckinghamshire when I was 23 and it still feels like I live on holiday. After cinema, the longest and most fulfilling love affair of my life has been with Brighton and I’m still absolutely besotted with it. I’m a grown woman yet it’s a well-known fact amongst my friends that I am ALWAYS inappropriately dressed for the weather. If it’s really hot then I’ll be the one in the black ninja-like outfit (probably wearing a polo neck), and if it’s freezing I’ll have a really flimsy coat or no socks on. I’m actually an exceptionally organised person, just not sartorially for some reason. Although I don’t have tons of them, I have a fair amount of Funkopops, Bobbleheads and Lego Minifigures. I have one large printer’s tray full of assorted Lego peeps and two smaller ones dedicated to zombie and Game of Thrones dudes. I mean, what self-respecting VA doesn’t categorise their Lego? I haven’t sorted an adequate display system for the Funkos yet so they’re just randomly located throughout my apartment. I sometimes walk around and look at them when I’m brushing my teeth. Which isn’t at all weird… right? Obviously I intend to be one of the people not turned into the shambling undead so I’ve spent more time than is probably healthy thinking of the best way to survive the apocalypse including escape routes, weaponry and what I’d pack in my bug-out bag*. * An axe, a wind-up radio, my glasses (plus a spare pair), a penknife, a maglite, a lighter, penicillin, a map of the UK, water, water purifying tablets, warm layers and my house keys in case you were wondering. I’m not a person who coos over babies, but when I see a puppy or small dog in the park I’m beside myself – especially if it’s wearing attire such as a neckerchief or sweater. I would love a little dog of my own but because I love my freedom, know you need to put a lot of time into training, and I travel a lot, I won’t get one until I’m much older and have decided to settle somewhere. I only got five GCSE’s and one A-Level. I didn’t go to university but I’m resourceful, resilient, adaptable, constantly learning and I’ve always been determined to achieve whatever I set my mind to. I am definitely proof that you don’t need to be traditionally educated to engineer a happy life on your own terms. I don’t mind a proper little emoticon but I can’t bear smiley faces made with brackets or when people write LOL or ROFL or some other equally annoying acronym. Some people think you can’t tell how a message is intended if there isn’t some stupid face in it – whereas I think that if you can’t express yourself clearly without using brackets then you don’t have a good enough grasp of the English language and should rewrite your message. Most of my friends disagree but they’re clearly wrong. Nothing excites me more than a medieval castle and a good amphitheatre. I’m really into the history of the English monarchy (especially the Tudors) and I rarely read fiction. Instead I can usually be found reading books on The Romans, Pompeii, or forensic archaeology before I go to sleep. I would definitely class myself as a film nerd. The cinema is my second home (it smells like popcorn and dreams) and I go as often as I can. I particularly like disaster and zombie films (watching people run and panic en masse delights me) and I love the Coen Brothers, Woody Allen and Wes Anderson films. I’ll often go to see a film more than once and I can literally talk about films all night. Many years ago I decided to learn a hobby that would take me away from my computer screen, so I taught myself to crochet with a book and YouTube (the irony of learning from YouTube is not lost on me). I particularly like making blankets and I’ve taught many other people how to crochet. I’ve always hated routine, doing just one thing and predictability, but a few years ago a career coach friend diagnosed me as a Scanner and my life suddenly made sense. Scanners are people who like variety but sometimes have so many ideas they’re paralysed with indecision, or they start lots of things and never finish them. I then found a brilliant life-changing book called Refuse to Choose! : A Revolutionary Program for Doing Everything That You Love by Barbara Sher, discovered I was a cyclical plate-spinning Scanner and learned loads of practical ways I could get everything done without going mental. It was a revelation actually. I’m not going to tell you what my original surname was but I never felt like it suited me and the only person with the same name is my biological father – who is a baaaaad man. So I changed it. I incorporated the spelling of my step-father’s surname (Munn) and reinvented myself with my own self-chosen surname of Munro when I was in my early 30’s. I also removed my middle name of Tracey (can you tell I was born in the 70’s?!) and replaced it with the initial T. So my legal name is now Joanne T Munro instead of Joanne Tracey surnameihated. 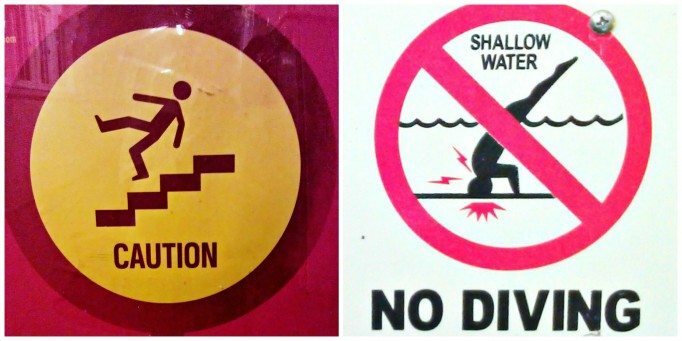 This is kind of a weird one but I’m fascinated by bonkers safety signs. I have a whole folder full of surreptitiously-taken photos from around the world of images showing what will happen if you do something stupid. They greatly amuse me and made me inordinately happy. Of course there are loads more such as my obsession with Italy, my love of funny swear words, my coffee snobbery and how I ruined my Girl’s World by drawing a beard on her – but I really should stop now before you decide I’m actually a mentalist and call Social Services. Jo, that was a very amusing insight into the world of Jo Munro! A high functioning introvert – I love it, it is me to a T. Always the quiet, shy one but put me in a room of strangers and I will not shut up. It is draining and I love my own company but getting out now and again is a good thing. Plus it leads to business! One thing though, I am quite deaf which causes great hilarity at times, I am very good at answering questions that people didn’t ask – I completely mis-hear – it’s their blank look that gives it away! Spiders I understand. I’m not too bad and my cat is very good at dealing with them but my sister! Oh, good god, she screams, sweats, shakes, it’s awful. I too changed my name in my 20’s and then later married so changed it again. 3 surnames and not one of them ‘normal’ like Smith or Thomas etc. I love cooking, it is escapism for me as is floor mopping, so relaxing, but present me with a pile of ironing – cue vile mood. I have a beautiful, gorgeous and a bit batty, Siamese cat who loves to be with me, sitting on me, next to me or just following me. And I have a dolls house, 1:12 scale. Thanks for that Jo, it was a great read. Wow, Jo! I never knew we had so much in common…3, 6 (99% agree), 7, 8, 9, 11, 12, 17 & 18. My cat’s name is Hurayrah, or just Ray for short. Instead of “th”, I have a problem with “ur” and “ul” words. Turtle, for example, sounds like “turturl”. Mule sounds like “murl”. I try to avoid these kinds of words. The only 1% of 6 has to with some people I communicate with only understand “lol” and such, and I kind of have to communicate on their level sometimes. It can get annoying really quickly. Anyway, I knew we were kindred spirits. Thanks for letting us know more about you. This was a very fun read. Thank you Joanne, it was great to get some insight into your life. You have such a strong identity of yourself and communicate in such a witty manner. This article really cheered me up on a Saturday morning. My number one passion is yoga. I love going upside down and standing on my head. It is amazing how going upside down and letting the blood run to your head can help calm you down and bring clarity to any situation. If I need to think something through I will often turn myself upside down before making a decision. I am a real book worm and love Science Fiction/Fantasy/Romance. Give me a combination of all 3, in a trilogy format and I am in my element. I love reading books where people have to stretch themselves to the max to achieve the unthinkable. Bit like me really! I also love reading books that help my personal development. I most recently read “The success Principles” by Jack Canfield (Thank you, based upon your recommendation) and I am now reading “The 7 habits of highly effective people” by Stephen R. Covey. This book has been on my bookshelf for 12 years and I can’t believe I have only just picked it up to read. Are the biggest joy in my life and have taught me so much about myself. They continuously test my character and help me understand people. They are also the biggest stress in my life. Being a control freak of sorts, their behaviour and wants are quite often outside of my control and I have to constantly navigate and negotiate around them. I am getting better at this but I love to have a plan for everything. This isn’t necessarily a bad thing but my husband draws a limit at the numerous lists scattered around organising various bits of our lives. I did think about training to be Yoga teacher for a while but I just couldn’t help getting involved in assisting friends set up their businesses and volunteering to run as Secretary for the school PTA. For the last two years I have also organised the school Christmas Craft Market which involved organising 80 craft stalls, an ice rink, family side show stalls and 50 volunteers. I loved it, everyone else thought I was crazy but I loved it! I probably am a bit as I do this all for free. I love any opportunity to learn. I also hate New Years Eve and Valentines. I hate feeling forced to celebrate something. I was once caught up in a drive by shooting in Thailand and I have also been on an aeroplane that caught fire. So only my bravest of friends risk travelling with me! It is great getting to know you. Crikey – remind me never to travel with you either! I loved your list and how organised you are, I’m also dreadfully organised (colour-coding and bullet points make me really happy) which I guess is the reason this line of work really suits us. I’d organise the world if I could! 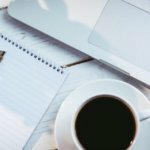 I am just beginning to plan for my new life as a VA and have been reading your blogs all the way from Australia! Thank you so much, they are helpful, motivating and funny! I too love cats and have 5 who are all rescued, busy house! Please keep your updates coming. Read your random facts with interest. I am going to become a Virtual Secretary instead of being unemployed. Am a good reader, and a quick learner. in the job I am currently doing. Now feels the right time to do something about it thanks to you. I also do not like spiders. I am 55 and my driving test is only a few weeks away…….eek! Also wish I had persevered years ago with it. But this year it all changed, I applied for my provisional license, passed my theory test first time the day after arriving back from holiday and next week will be my 10th driving lesson. I have 5 children from 36 down to 21 who I love more than words can say and a fantastic husband. We were in Brighton last weekend ( can see why you love it) and live in Bedfordshire. Thank you for giving me the push I needed to do this! You cracked me up from when I first spoke to you. Nothing different in the above post! Well, reading your personality type made me coat my keyboard at work in hot tea as it was like reading an exact description of me! I have always wanted to learn Everything at the same time and commit to it then panic as I don’t know where to start! am much better as I have got older, ahem, but loved reading an insight into ‘what its like being you’. My husband calls my weirdness ‘abisms’ , I have always said ‘rememberable’, I think the dictionary is in fact wrong! I love tin pin bowling and have an odd skip shuffle thing all before I let go of the ball, my feet just cant work without doing it. Finally, my memory works in a most unhelpful way. I can remember number plates of cars and can remember someone’s name just by a first meeting. However, having to remember important day to day things, collect the kids etc. Nope, my memory fails me! Hi Jo, just come across your fun 20 facts. Surprisingly a share a few with you, not least the deed poll name. Not the Oriel bit but my bank account/doctor’s surgery name. I also hate cooking, learnt to drive at 40, I knit instead of crochet and I’m nuts about history. In fact I started a 2 week distant learning course on archeology this week on Future Learn. Hi Jo, thanks for sharing so much about yourself. It is because of you that I first learned about Scanners and Barbara Sher’s book, Refuse to Choose. I am about halfway through reading it and I see so much of myself in it. It truly explains why I find my current employment so tedious. I am wondering if you could share some insights on how you were able to mesh being a Scanner with being a VA. At first glance, it seems they would combine quite well, but I do have this fear that I will grow bored with the work in the same way I have with my current employment. Hi Lyneisa (fellow Scanner!). It turns out that just by being a VA kept me from being bored. 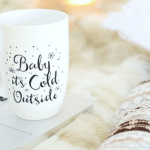 There is the work itself, all the admin, reading up, accounting, marketing – and so many other things involved with running a business that I had enough to keep my busy mind occupied! It was mainly the variety of different client work and plotting how to creatively market and promote myself that did it. There is so much to do and it’s so enjoyable that you don’t have much time to get bored.